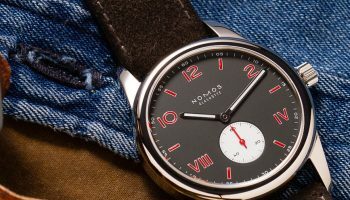 The trailblazing model from the new series is Nomos Metro with a new ‘silvercut’ dial. 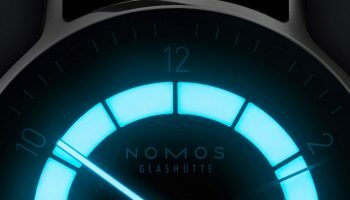 This fall belongs to the professionals—whether in the UN’s General Assembly hall, a co-working space in Berlin, or an architecture studio: New watches for men are on their way from Nomos Glashütte. 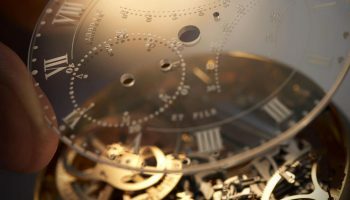 The At Work series comprises four watch models in a larger size and three colors; all are incredibly slender and equipped with the high-end automatic caliber DUW 3001—which is only 3.2 millimeters in height, and a construction of outstanding precision. 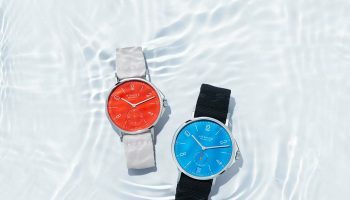 With their ideal new proportions, Tangente, Metro, Orion, and Tetra are very masculine and underline the wearer’s competence—when it comes to choosing watches, and everything else in life. With style: The 39-millimeter in diameter and wonderfully slender cases fit under a shirt cuff, and look good in an office with a more casual dress code as well. 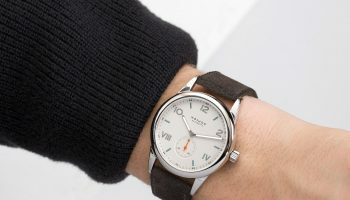 The trailblazing model from the new series is Nomos Metro with a new ‘silvercut’ dial. The secret to its particular shade of cool gray is a nine-step process. 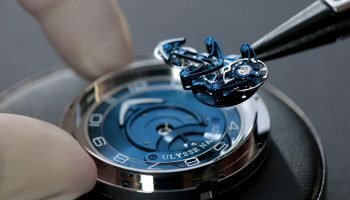 The gold- and rhodium-plated dial blank is lacquered and wet-blasted numerous times, before the thousandth of a millimeter is removed again and the dial is trimmed flat. 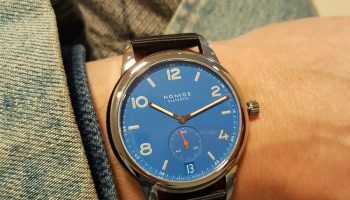 Metro’s dial also features kisses of color in the form of red dots for hour markers. 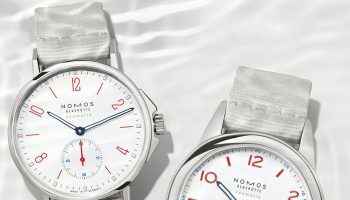 Alongside the ‘silvercut’ versions, all models in the new series are also available with Nomos’ classic white silver-plated and midnight blue dials. 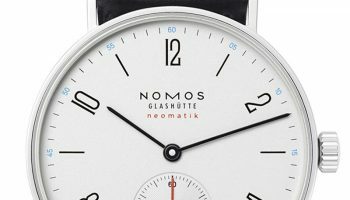 The German brand Nomos Glashütte created a design icon with the hand-wound timepiece Tangente. 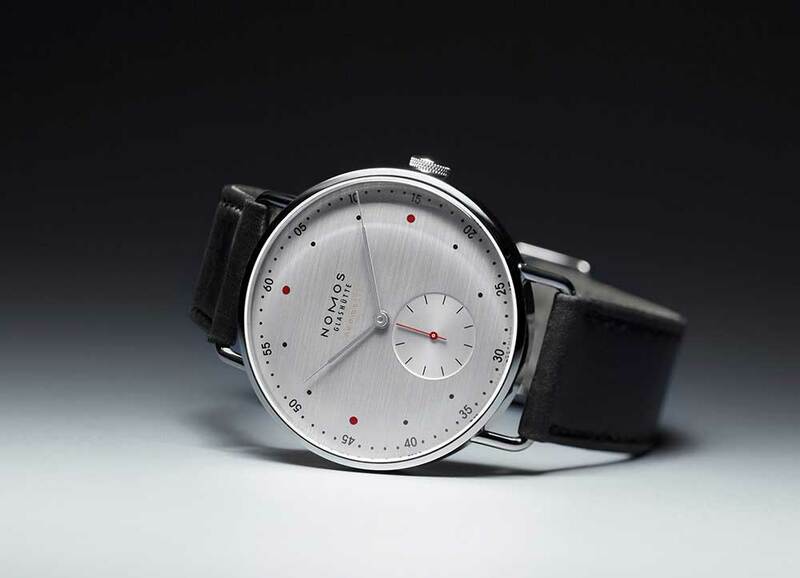 With the groundbreaking caliber DUW 3001, Nomos models are now becoming classics in the automatic watch market too. And a safe investment for customers. 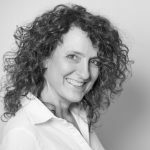 All the models of the Nomos At Work series will be available with selected retailers from mid-October.